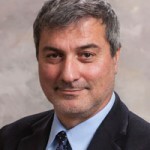 Retraction Watch has obtained copies of a misconduct complaint filed against surgeon Paolo Macchiarini, who is currently under investigation by the Karolinksa Institute in Stockholm for allegedly downplaying dangers of an experimental surgery, along with other misconduct accusations. We’re posting them here to allow researchers and clinicians to review and perhaps comment on them. A one-time media favorite is being accused of serious misconduct in three cases where he inserted artificial windpipes into patients and treated them with stem cells. Two of the patients have died; one survives, but needs her airway cleaned every four hours by hospital staff to keep her alive. 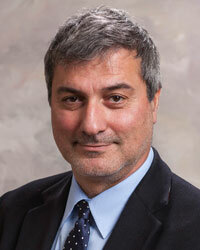 A little over two years ago, thoracic surgeon Paolo Macchiarini soared to the top and then sunk to the bottom within days. First, his work implanting artificial tracheas hit the front page of the New York Times. Days later he was placed on house arrest for accusations of fraud and extortion. We wrote about him a month later, when a paper of his was retracted for plagiarism. Has the Annals of Thoracic Surgery had a change of heart? Evidently the publication that told us nearly two years ago, in effect, that the reasons for retractions in its pages were “none of [our] damn business” has decided that information is worth sharing after all. The ATS has retracted a paper it published in October. The article, titled “Development and Validation of a New Outcome Score in Subglottic Stenosis,” came from a group of researchers in Florence, Italy.